Phoenix OS is a popular Android operating system forked to run on computers. Recently we’ve seen it working awesome with online games such as PUBG and others. So if you do not want to install it on your hard drive, create a persistent USB of Phoenix OS. That way you can keep using Phoenix OS from USB thumb drive while saving all the user data. Read review here. People are using Android Operating system on their computers to get new and familiar experience. Some of the popular Android desktop solution are Phoenix OS and PrimeOS, the list is even bigger. You can quickly create bootable USB from ISO files, you know that the procedure is simple. We have a tool called Rufus to create bootable USB quickly, that’s why most of the tech blogs recommend it. The reason behind its popularity is it’s free to use and the developers doesn’t intend to make any money out of it nor allows donations. You can read about that here. Select the USB drive you want to use. Select the ISO file to burn on the USB drive. When asked select Write in ISO image mode for better compatibility. Things to remember here: If you make FAT32 type bootable media you can create up to 4GB user storage which is enough for games like PUBG and other. Since NTFS and GPT scheme doesn’t work you should stick with MBR and GPT with FAT32. Download Win image maker tool, extract it on your desktop. 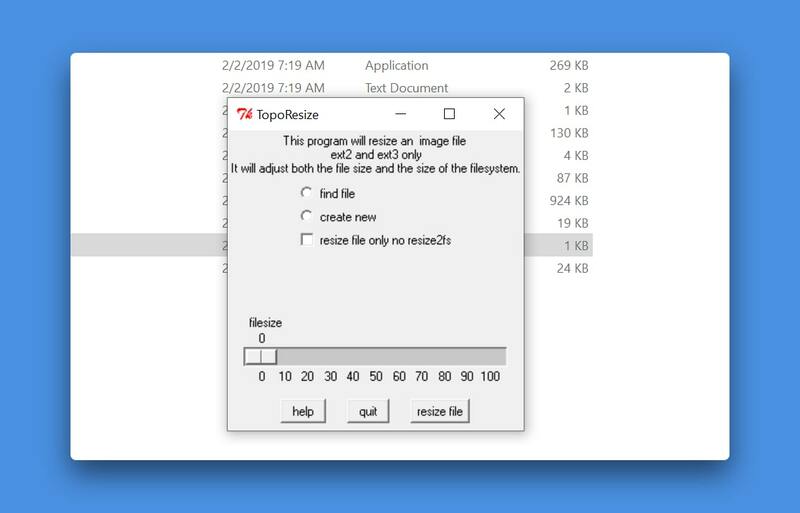 Open the folder and run TopoResize file. Click create new, and save the file as data.img and allot desired size. Select partition type ext3 and select root directory of phoenix os. The maximum size you can allot is 4GB (as per FAT32, ext3 largest file size limitation). Click ok to start creating the data file. That’s it, it might take couple of minutes to half an hour and during process it may show as not responding. But give it time, and once finished the app windows will be closed. Now you can use Phoenix OS from USB and it will save everything you do. Application of the process can be playing games, so you don’t have to install the game each time you want to play. It can go annoying when you have to login to your google account to access Play store, but with this approach you have to do everything one time and can start from where you left. Second, do not install the OS from USB to hard drive, it will replace the Windows bootloader and replaces it with GRUB2. If that’s what you want, use the Installer version of Phoenix OS. 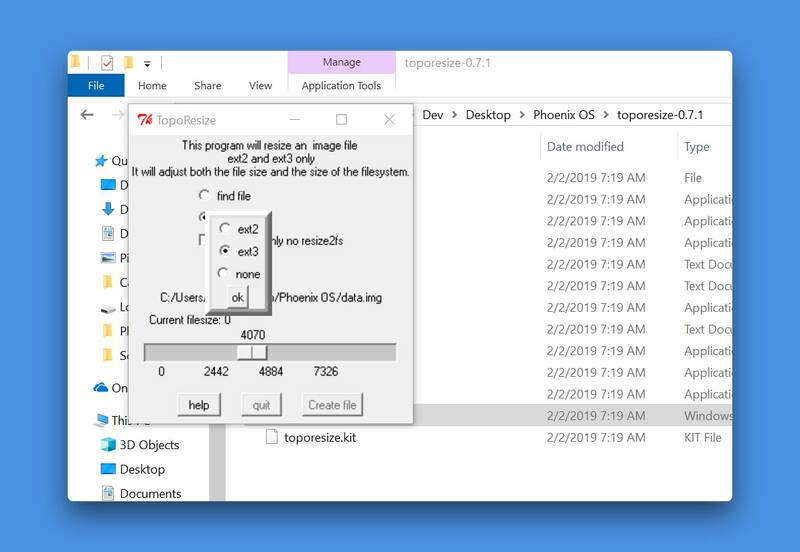 Never try to modify the data.img or other files of USB drive, it could malfunction the OS and not to mention PUBG mobile takes actions against data manipulation. Phoenix OS works best as of now to solve all your Android related needs. It does perform better than any Android Emulator and gives aesthetics of a complete operating system. If you’re curious which Android OS works best, read this comparison guide. There are many Android desktop operating system solution at this time, but none of them are perfect. Take Phoenix OS and OpenThos as a example both are chinese forks with bloatware and ads, using the first one is practically fine but the other one is hard to get working, creating bootable USB was a task itself and only god knows if it supports Android and Linux apps as the website claims. For now, Phoenix OS is the only solution you should be looking, now let’s talk about some of its cons. You’ll be forced to watch ads periodically, that’s is a business model to monetize the product however, you can subscribe to pull off ads. Second, I have tested a recent version of Phoenix OS (3.0.8) and I don’t find any bloatware, (sure there will be pre-installed app which you can remove). Android on PC is not new, it was there when the Android-x86 started porting AOSP for computers. The demand is increased due to online multiplayer game called PUBG mobile, lots of people started streaming the game to attract possible segment of viewers, while a few of them stream PUBG mobile on Mobile/IPAD; Mortal recently won 30 lakh prize pool in Tencent tournament. I’m having problems installing PrimeOS on old hardware.. bacially it won’t boot the OS and just restarts everytime. Is there a way to make it work? Make sure to create FAT32 bootable. Prioritize USB to boot when you start computer. Does other OS, Linux bootable USB works fine?.